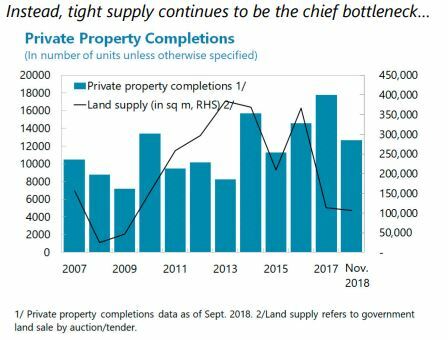 “The authorities’ strategy to contain the housing boom using tight macroprudential measures and stamp duties remains appropriate, but more needs to be done to raise housing supply. The authorities’ three-pronged approach relies on a mix of macroprudential policies, stamp duties to contain excessive demand, and measures to increase housing supply. 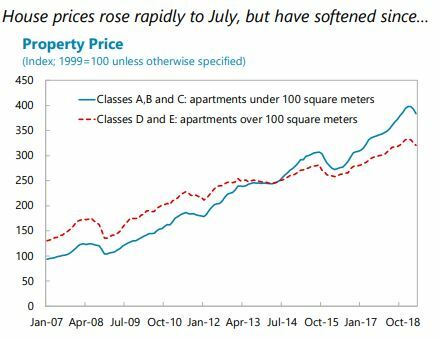 While macroprudential measures have allowed for building buffers in the financial system against a correction, housing prices rose until recently, and affordability deteriorated. A significant increase in housing supply remains the most needed course of action. Given affordability concerns, the authorities could also consider increasing spending on public housing and allocating a larger share of new housing stock for public housing. Tight macroprudential regulations have helped contain systemic risks and should remain in place. These include: LTV and debt service-toincome (DSR) ratios that vary with the residence type (primary vs. other) and the source of borrower’s income (originating in vs. outside of Hong Kong SAR); stress tests on the DSR to ensure affordability if interest rates increase; and floors on risk weights on property loans.6 These measures, together with stringent regulation and supervision, allowed banks to build significant buffers that should help cushion the impact of house price declines. 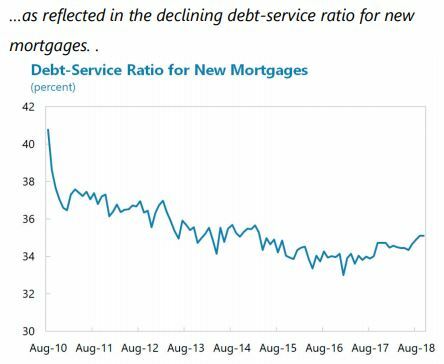 While the mix should be reassessed on a regular basis, the authorities should cautiously await more signs of a sustained decline before considering loosening macroprudential and demand-side measures. 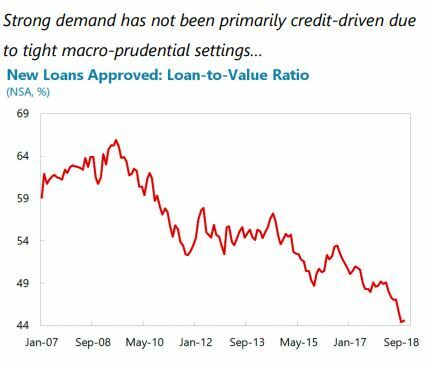 At the same time, if prices rebound, further tightening of macroprudential measures would likely result in leakages to unregulated non-bank financial institutions as borrowers secure mortgage financing outside regular bank channels (e.g., property developers offering financing to potential buyers). 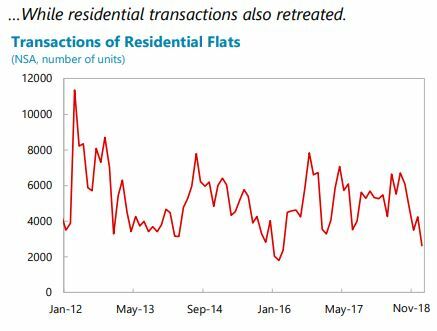 Stamp duties on real estate have helped contain systemic risks and should be retained for now but phased out when these risks dissipate. The government maintains three types of stamp duties on purchase of residential properties: Ad Valorem Stamp Duty on all purchases except of primary residences of permanent residents who do not have any other local residential property at the time of purchase (called previously Doubled Ad Valorem Stamp Duty/currently New Residential Stamp Duty), Special Stamp Duty (SSD) on resale of residential properties within 36 months, and Buyer’s Stamp Duty (BSD) on purchases by non-residents.7 Staff analysis indicates that stamp duties have been effective in curbing house price increases by as much as 9 percent, and, consequently, helped limit household indebtedness and the buildup of systemic risks in the banking sector. The DSD/NRSD is levied at a higher rate on non-residents and is assessed to be a capital flow management measure and macroprudential measure under the IMF’s Institutional View of Capital Flows. It continues to be assessed as appropriate given that it: i) was imposed to stem the inflow of capital into the property market; ii) was not used to substitute for the appropriate macroeconomic adjustment; and iii) was imposed because macroprudential measures did not apply to cash buyers, and their further tightening could have resulted in leakages to less regulated non-bank financial institutions. Moreover, the systemic financial risk remains elevated. Stamp duties should be phased out once systemic risks dissipate. Efforts to further increase supply will be key to resolving the demand-supply imbalance and moderating further price increases. After a significant increase in the number of housing units in the early 2000s, the average annual housing production between 2006-2013 fell below 25,000 units. In 2014 the authorities adopted the Long-Term Housing Strategy, which aimed to provide 460,000 housing units over ten years. This was complemented by the Hong Kong 2030+ Strategy—a guide to long-term planning and development of land and infrastructure. While housing production has increased to around 30,000 units on average over 2015-17, it has been falling short of target by around 40 percent on average. The authorities are implementing new measures to boost housing supply. In April 2018, the Task Force on Land Supply presented options to increase the availability of land for residential housing, including reclaiming land in Victoria Harbor, and potential development of two strategic areas in East Lantau Metropolis and New Territories North. The “Lantau Tomorrow” reclamation project, as well as further development of brownfield sites, land sharing, and revitalization of existing buildings have been proposed in the 2018 Policy Address. Furthermore, the authorities announced plans to reform the pricing of subsidized housing, initiate a starter homes project, and set up a task force to assist with provision of transitional housing. In addition, a vacant property tax (“Special Rates” tax) of 200 percent of a flat’s “ratable” value (rental value estimated by the Rating and Valuation Revenue Department, roughly 5 percent of the property value) was proposed for unsold new residential units, and a requirement on developers to offer no less than 20 percent of flats during each sale to prevent the accumulation of unsold flats. The authorities should also review and—where possible—expedite the procedures guiding the process of identifying land and building sites, zoning, and conducting the necessary environmental, design, transportation, and other assessments to streamline the process. Frequent reviews of eligibility for social housing could potentially help alleviate social pressures. 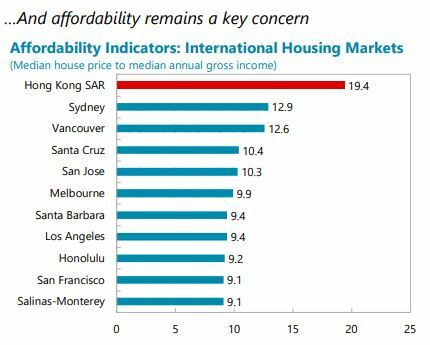 Around 30 percent of households currently live in public rental housing, with eligibility based on income and wealth, and additional 15 percent of households live in subsidized sale flats. Wait time for public rental housing have increased significantly, from 1.8 years for general applicants and 1.1 years for the elderly in 2008, to 5.1 years and 2.8 years, respectively, in 2017 to ensure proper allocation of benefits, frequent reviews of eligibility should be conducted: in 2016, around 5½ percent of households in the highest income quantile lived in public rental housing.